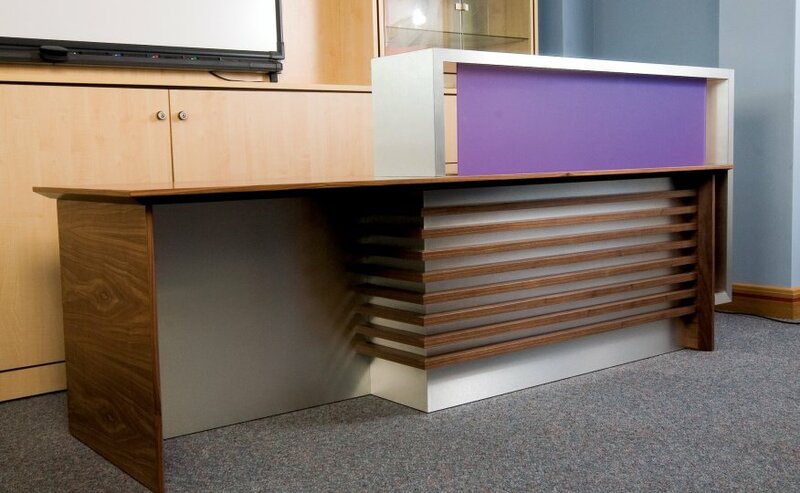 Stunning reception desks with a slatted front panel design and offered ion a selection of genuine wood veneers or coloured laminates. Manufactured in the UK with bespoke sizes and variations available. This range also has an integral recessed area for wheelchair users.